Back in 1998, James Cameron's Titanic defied all expectations, becoming the first film to break the $1 billion barrier at the box office and eventually scooping 11 Oscars, the most since Ben Hur. Cameron's masterstroke was to fuse an intimate, star-crossed love story with the extraordinary recreation of the sinking itself; the film made stars of Leonardo DiCaprio and Kate Winslet, and their likeable performances put a vivid human face on the tragedy without ever trivializing it. As expected, Cameron's attention to detail is unsurpassed, with every aspect of the production coming together to pull us into the disaster. 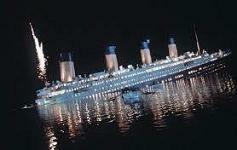 The sinking itself is marshalled with remarkable power, an incredible blend of miniatures, CGI and sets. It also marked Cameron's first collaboration with composer James Horner since their strained union on Aliens back in 1986. That experience famously ended in frustration, with Horner's score chopped and changed throughout the movie due to fierce time constraints. It was expected that the two men would never work together again but Cameron's love for Horner's Braveheart score led him to seek out the composer. They let bygones be bygones and, consequently, the scoring sessions on Titanic were much happier and more creatively fulfilling, eventually leading to Horner's first Academy Award (he also won for Best Song, "My Heart Will Go On"). Titanic also went on to become the best-selling score album of all time. Although at loggerheads during post-production on Aliens, both Horner and Cameron were able to find common ground when it came to the Titanic score. Cameron had temp-tracked the music with the likes of Enya, and was keen to avoid a traditional sound when it came to depicting the wonder of the vessel. Horner duly obliged with a score that fuses traditional orchestrations with a New Age music. 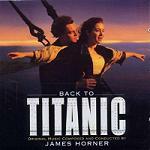 Horner's keen interest in Celtic music also helped when it came to depicting the Titanic's Irish background. Listening back to the Titanic score more than a decade after it made waves on the billboard charts, there's no denying that the electronic sections are somewhat dated. Yet, dramatically, it's an effective device: the movie is told in flashback from a modern point of view, so it makes sense that the past is inflected with a sense of the modern. Far more effective however are the sections featuring Norwegian soprano Sissel, whose haunting, undulating tones ripple like so many memories lost in the deep. The first track "Never An Absolution" opens with Uilean Pipes familiar from Braveheart (emphasising the ethnic element) before Sissel's beautiful vocals lead into the Absolution theme itself, one of two central ideas in the score. Possessed of a sad, wistful quality, this is the theme that emphasises the tragedy of the Titanic from the modern perspective. "Distant Memories" introduces a lovely, watery motif, representing the Heart of the Ocean diamond that Winslet wears in the film before the triumphant orchestra takes over as we venture back to Southampton 1912 for the first time. "Southampton" is the first track to feature the electronic choir along with a throbbing electronic pulse and snare drum clusters. "Leaving Port" and "Take Her to Sea Mr Murdoch" continue in same fashion, balancing Cameron's desire for a contemporary sound whilst adding a lovely sense of romanticism to the ill-fated ocean liner as it leaves port on its fateful journey. "Leaving Port" also adds an effective percussive element mimicking the sounds of a telegraph machine. Surging brass fanfares beneath the synths mimic the ship's movement as the ship ploughs through the waves. "Rose" introduces the main romantic theme, later to be immortalised in the Celine Dion ballad "My Heart Will Go On". However, it's arguably more appealing in its underscore incarnations, especially when Sissel's gorgeous voice takes centre stage. The phenomenal "Hard to Starboard" then takes the tone of the score in a completely different direction as the ship makes the fatal collision with the iceberg, sealing the fate of all those on board. One of Horner's most astonishing, intense action pieces, banging anvils (representing the mechanics of the ship) compete with a racing string undercurrent as the crew make their valiant attempts to minimise the damage of the collision. "Unable to Stay Unwilling to Leave" proceeds in heart-wrenching fashion, contorting the Absolution theme and the Romantic theme into a deeply moving piece as the human cost of the disaster becomes clear; the dissonant second half features more action. Also of note is the redemptive statement of the Absolution theme on Uilean pipes representing the unyielding love between Jack and Rose – teased out in this track, it's most famous application is perhaps at the end of the film itself. "The Sinking" and "Death of Titanic" mark the end of the ship's life, the ironically angelic choir contrasting with Horner's famous "crashing" piano and timpani hits, lamenting the dreadful fate of the passengers. The disturbing climax to "Death of Titanic" is especially effective, the orchestra and synth choir reaching a frightening cacophony as the vessel sinks to the bottom of the ocean. The romantic theme is also mixed in at key intervals to represent Jack and Rose's love affair in the face of horrific odds. The tone of these two tracks will remind listeners of Horner's work on the likes of The Pelican Brief and Apollo 13, although it should be stressed that the music as it appears in the film is edited differently to what is heard on the album release. The final third of the album is haunted by tragedy before the cathartic finale. "A Promise Kept" begins in ghostly fashion as the survivors aim to fish people out of the freezing North Atlantic. 2 minutes into the track, the combination of chimes, flute and strings is especially chilling, mirroring the frozen environment; then of course there is the gut wrenching application of Sissel's voice during *that* scene where the two lovers are parted, before it builds to a hopeful climax. "A Life So Changed" re-introduces the haunting Absolution theme as the characters are cast adrift in the wake of the disaster. The score's highlight then occurs in the breathtakingly beautiful "An Ocean of Memories", inexplicably not heard in the film. Presumably this was a matter of editing – it's one of the most beautiful pieces of Horner's entire career, the combination of glassy, tinkling chimes, Sissel's voice and the orchestra vividly depicting the deep well of memories that Rose has stored inside her since surviving the tragedy. The exquisite trumpet solo at 4:26 is worthy of special note - in many ways, it's reminiscent of Horner's 1996 triumph, The Spitfire Grill. The score then concludes with Dion's weepie ballad before a final summation of Horner's Absolution theme, as well as the ship motif, in "Hymn to the Sea". The saying goes "familiarity breeds contempt" and it's very easy to sniff at the Titanic score, given its frequent exposure (some might say over exposure) on the billboard charts back in 1998, not to mention the pervasive Celine Dion number. However, although it's not James Horner's most accomplished score (any number of titles could take precedence – The Land Before Time, Glory, Field of Dreams, Legends of the Fall, Braveheart, Apollo 13, The Spitfire Grill et al), it nevertheless demonstrates his acute dramatic intuition. Very few film composers would have thought to apply an electronic choir to a historic tragedy yet Horner pulls it off remarkably well, although this does date the score in many aspects. 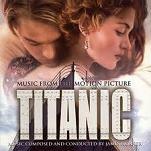 However, it's the sense of musical compassion underscoring the romance and the tragedy that continues to make Titanic such an enjoyable listen: Horner is able to juxtapose the sentimental with the horrific, in the end honouring the victims of the Titanic much in the same way that James Cameron does with the film.